Connecting Australia and the US through business, culture and education. 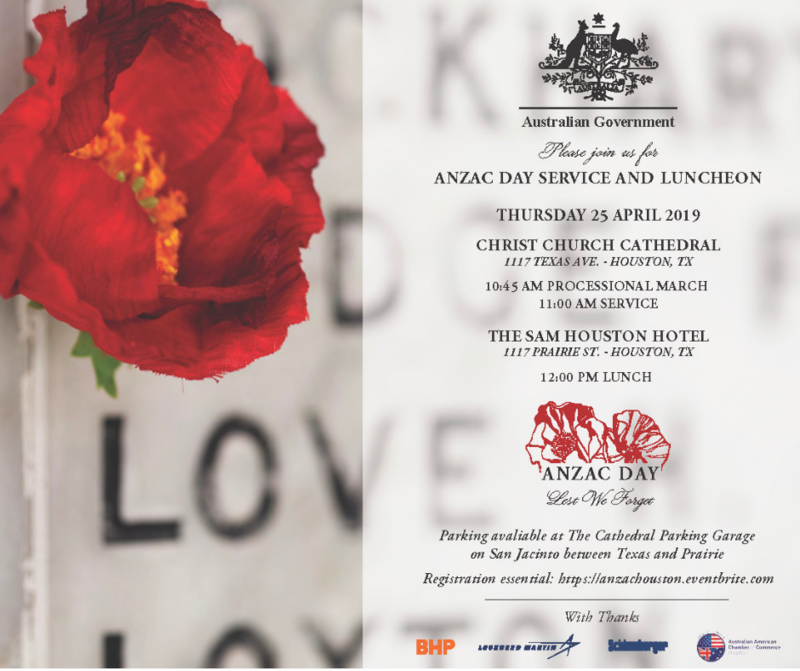 The Australian American Chamber of Commerce (AACC) is a non-profit organization committed to fostering business relations between Australia and the United States, promoting cross-cultural understanding, and enhancing the quality of life of Australian expatriates who live and work in the U.S. 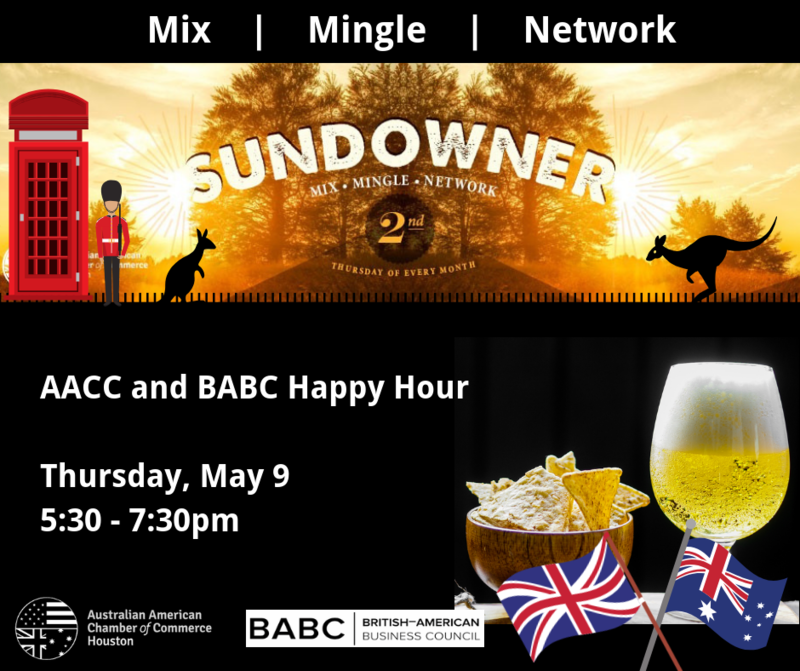 In light of AACC's mission, the Chamber arranges regular business and social events throughout the year that focus on Australian-US business relations and interesting and current aspects of Australian art and culture. Membership in the AACC is open to all - not just Australians. We have members from all over the world representing companies from across a variety of industries including oil & gas, medical, government, real estate, finance, hospitality, travel, health, IT, logistics, sports and more. ​Click HERE to access our full calendar, including sponsor, partner and community events. PHONE: 713-527-9688 EMAIL: INFO@AACC-HOUSTON.ORG © COPYRIGHT 2019. ALL RIGHTS RESERVED.